I think one of the reasons I’m most excited to move into our new house is because there is so much kitchen space. The kid’s wanted donuts this past weekend and when Ryan couldn’t find my donut pan, I realized that it’s probably because I never even unpacked it. There are so many things like the donut pan that, to use just once or twice a year, I couldn’t justify taking up space in the rental. Little things like that are the reason I have not been cooking, baking, and creating at home like I absolutely love to do this past year. I am grateful that I have to do it for work, and that I can go to my studio space to play, create, and shoot some lovely recipes still. 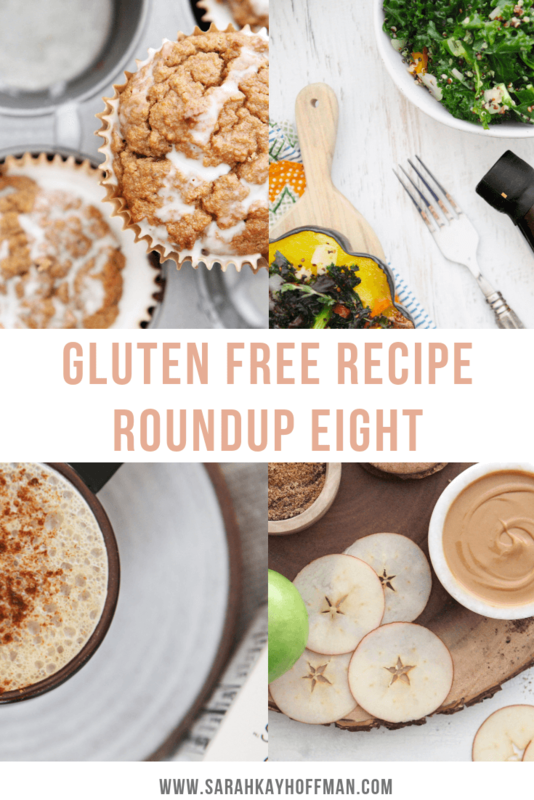 Of course, you all benefit from it, too, because the client recipes I share on my blog are always gluten free and most of them are dairy free as well (+ free from many other things). As always, if there is ever a recipe or idea you’d love to see me create, CONTACT ME. I get inspiration for new recipes from hundreds of different sources; your emails are one of them. Apple Cider (Instant Pot version). You have already seen this one on my site. It’s the simplest (and purest) Apple Cider you’ll make. Apple Cider Latte. Same with this one; it’s already on my site. This was created for a client, and born from the Instant Pot Apple Cider. Who ever thought coffee and cider would mesh so well together? Baked Apple Chips. 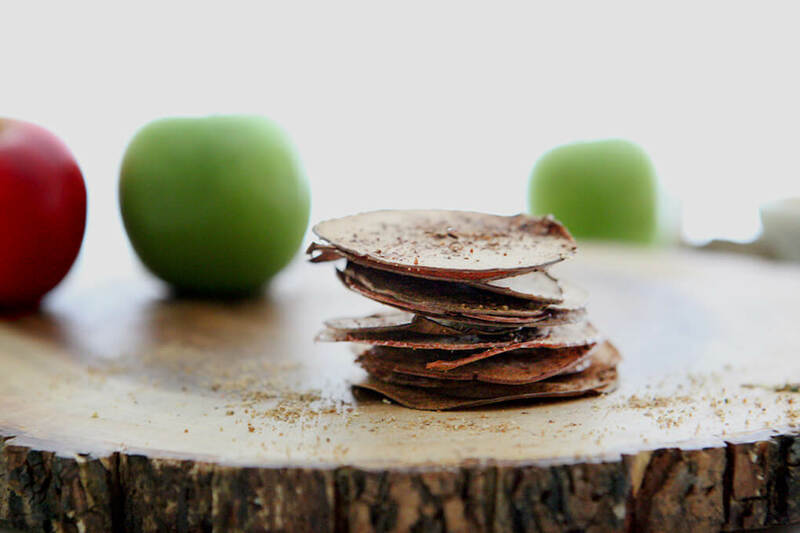 Using just 4 ingredients, you can make your own apple chips. My kids think they are candy. The only suggestion for this one is that if you’re going to invest the time in baking them, consider making a double or triple batch so you get the most mileage out of the apple chips. Also, I used a Mandoline slicer and I would never recommend making these without one. It’s critical that all apple chips are the same size. Pumpkin Spice Latte. This is the very best Pumpkin Spice Latte I’ve ever created. The secret ingredient is the Milked Cashews (and if you want to make this sugar free, simply swap the maple for Monk Fruit and use Unsweetened Milked Cashews). 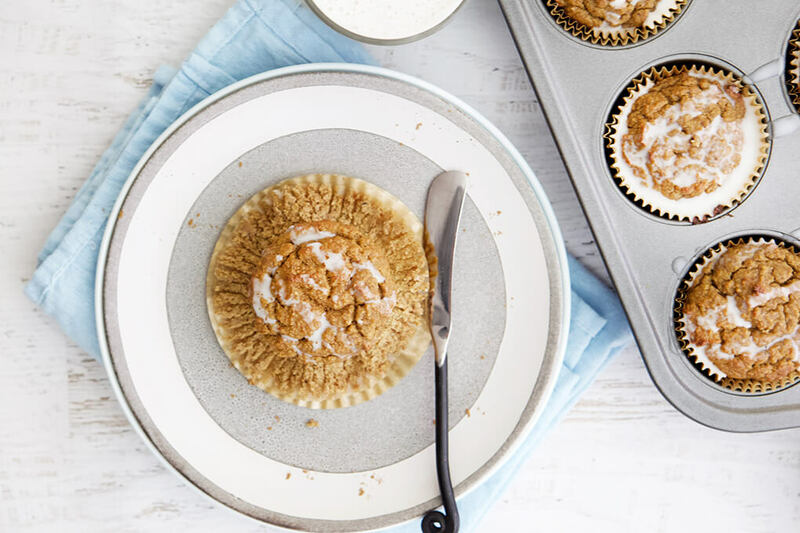 Pumpkin Spice Muffins with Manna Drizzle. Took a couple times to get this one right, but I did it. If you like all the pumpkin spice, you’re going to love these. They have a little extra spicy kick, and are full of fall flavors. These muffins are also: gluten, grain, dairy, soy, and corn free plus Paleo. 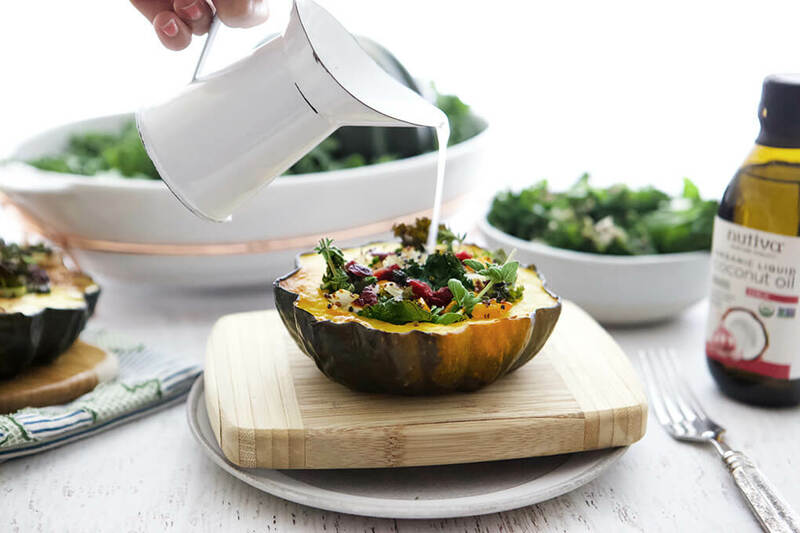 Quinoa Stuffed Acorn Squash Boats. I actually created this recipe for the first time last year, but the season got away from us, so we never finalized it. I knew, one way or another, I was going to have the recipe up this year because it’s that good. Separately, the dressing that goes with it can be a staple dressing you use all year long. Looking forward to your future articles and ones I haven’t read yet. As it will be 24 years since my severe car accident where all end police responders thought I had died by the look of my car. Thankful I’m alive at the time I found out I had white matter shearing of the brain right by the brain stem and chronic pain and fibromyalgia and depression the last four yrs I’ve now dealing with five autoimmune disorders the latest being adrenal fatigue. Leaky gut was huge when I found out I was celiac. Thanks for sharing your knowledge as I’ve found u need to do your own research even though I have an amazing dr I still want to know all I can.